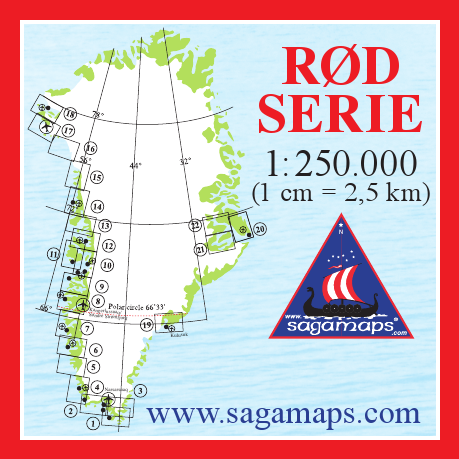 Topographic map of Greenland No. 12 of Sagamaps series. 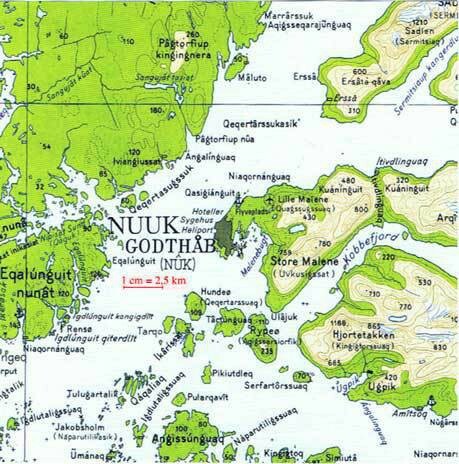 Covers Nuussuaq/Nûgssuaq. Scale 1: 250,000 (1 cm = 2.5 km). Scale in English.